MULTI-BLIND COMPETITORS PLEASE NOTE: We are enforcing a competitor limit on the Multi-Blind event for organisational reasons. There are only 24 spots available, and they will be allocated on a first-come-first-served basis as you register. Competitors who register for Multi-Blind after the limit has been reached will be on a reserve list if someone decides not to compete or does not show up on the day. More information on the waiting list can be found on the Multi-Blind tab. You are viewing the schedule for the venue Alton Towers Resort. We are enforcing a competitor limit on the Multi-Blind event for organisational reasons. There are only 24 spots available, and they will be allocated on a first-come-first-served basis. Competitors who register for Multi-Blind after the limit has been reached will be on a reserve list if someone decides not to compete or does not show up on the day. The competition will be held in the State Room, which is part of the Conference Centre at Alton Towers Resort. The Conference Centre is not situated in the theme park itself, so it is not required to purchase tickets to the resort to enter the competition. Car: Alton Towers is situated between the M6 and M1, the postcode for the Resort is ST10 4DB, but be sure to follow signs when closeby. There is a large car park on site, which is £6 all-day. If you choose to stop in Alton Tower's own hotel, parking is free of charge in the hotel's car park. Train: The three closest train stations are Stoke-on-Trent, Uttoxeter and Derby. A bus service will need to be used for the rest of the journey. Plane: The nearest airport is East Midlands, but getting to Alton Towers from there by public transport is not straightforward. Consider flying into Manchester or Birmingham which have better onward travel links. Bus: First Potteries operate departures from Stoke-on-Trent city centre (Hanley), Stoke-on-Trent Rail Station and Uttoxeter (except Sundays). There is also a X52 service that runs from Nottingham and Derby. You can find the full timetables at the First Group and Notts and Derby websites. Bus routes may involve one or more changeovers to complete your journey. Alton Towers operates its own hotels, which are on site and in the same building complex as the Conference Centre itself, details about these hotels and other Alton Towers Partner Hotels can be found here. There are many other alternatives further afield, but this would involve catching a bus/taxi/driving to and from the resort. MULTI-BLIND COMPETITORS PLEASE NOTE: We are enforcing a competitor limit on the Multi-Blind event for organisational reasons. There are only 24 spots available, and they will be allocated on a first-come-first-served basis as you register. Competitors who register for Multi-Blind after the limit has been reached will be on a reserve list if someone decides not to compete or does not show up on the day. This waiting list is updated manually, and may not be current, but if your name is in green you are guaranteed your MBLD spot. If red, there is still a chance if someone drops out. 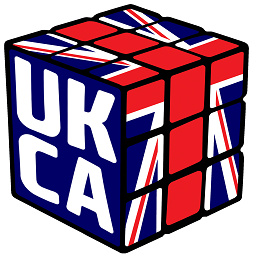 As Alton Towers Resort is a theme park, we are organising a "Fun Day" on the Monday following the competition where everyone can enjoy the company of other cubers for a day without competing within the Alton Towers Resort theme park itself.